Saturday’s ad is for is by Ballantine Ale, from 1958. In the 1950s, Ballantine advertised the hop variety “Brewer’s Gold” as “a rare strain of choice hops” and even registered it as a trade-mark, although Brewers Gold is widely available today. 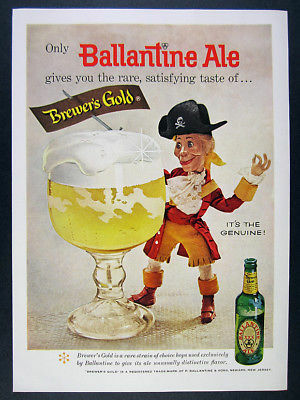 In this ad, a pirate appears to have found some liquid gold in the form of a ginormous glass of Ballantine Ale. 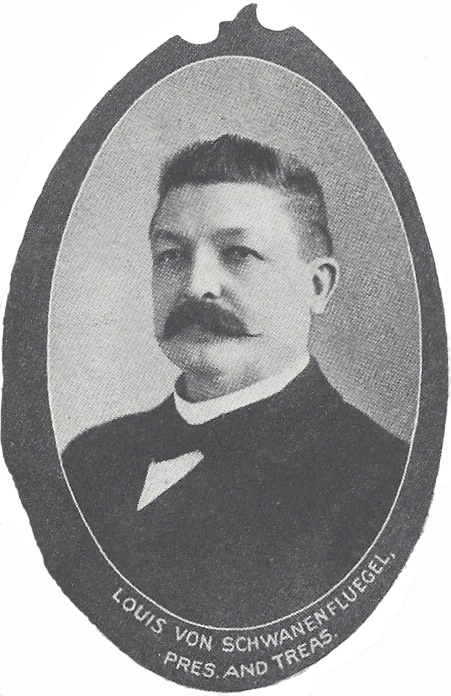 Today is the birthday of Louis von Schwanenfluegel (May 6, 1848-?). 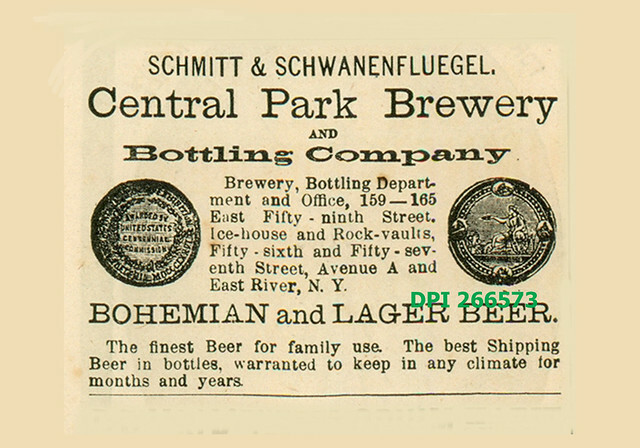 He was trained as a brewer at his father’s brewery, worked at a malt house, and became the manager of Schmitt & Schwanenfluegel Brewery, which was in New York City, near Central Park at 1065 Avenue A, between 56th & 57th. 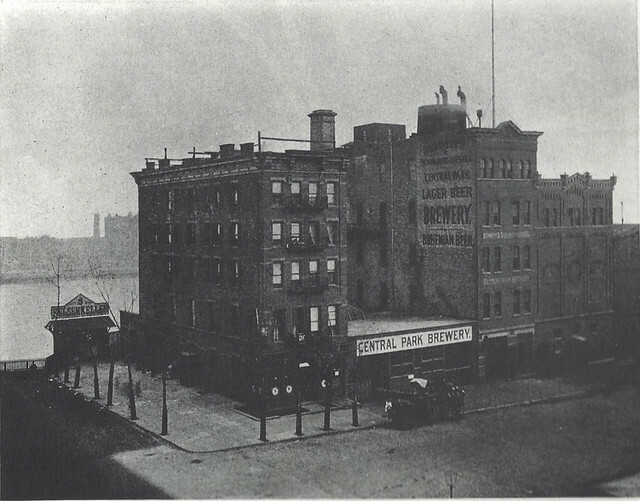 The brewery was originally known as the Henry Elias Brewery, who founded it near 15th Street & Broadway in 1855. 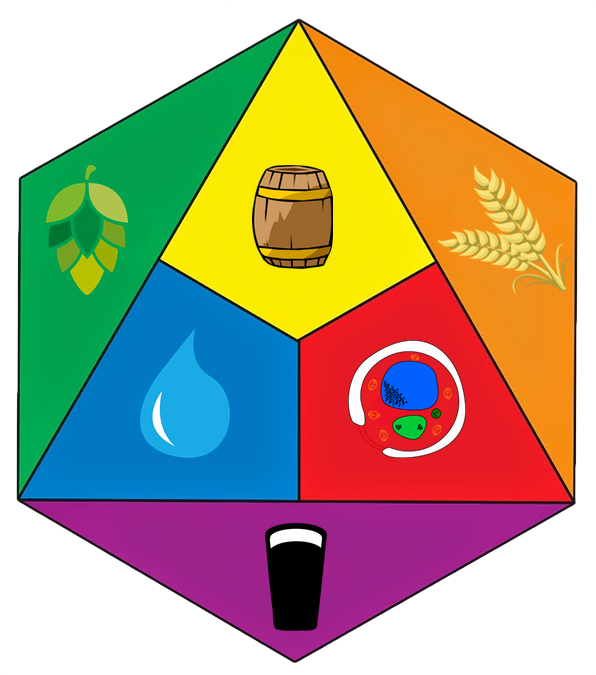 Elias, in 1865, partnered with George Schmitt, this George’s father, and became known as Henry Elias & George Schmitt Brewery, a.k.a. the Central Park Brewery (and was readdressed to 1065 Avenue A, between 56th & 57th). 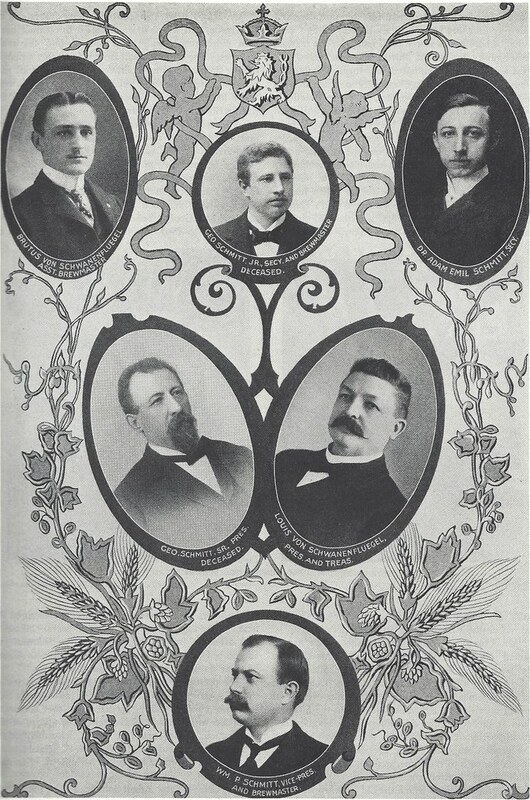 In 1868, Schmitt partnered with Christian Koehne to keep it going and it became the Schmitt & Christian Koehne Brewery. 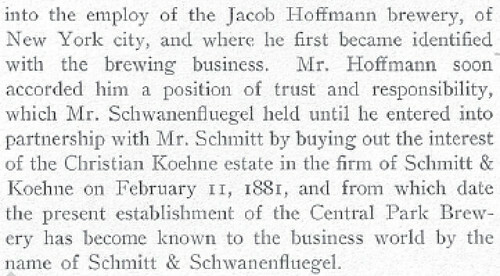 Then in 1885, Koehne left and Louis Von Schwanenfluegel came to the business and it became known as Schmitt & Schwanenfluegel Brewery, which it remained until it closed in 1906. 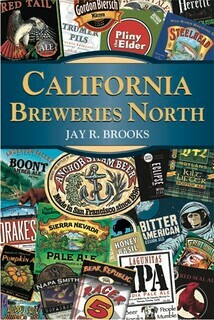 During that time it was also known as Consumers Park Brewing Co. and also Central Park Brewery. Today is the 55th birthday of Bill Covaleski, a co-founder of Victory Brewing Co., along with his childhood friend Ron Barchet. 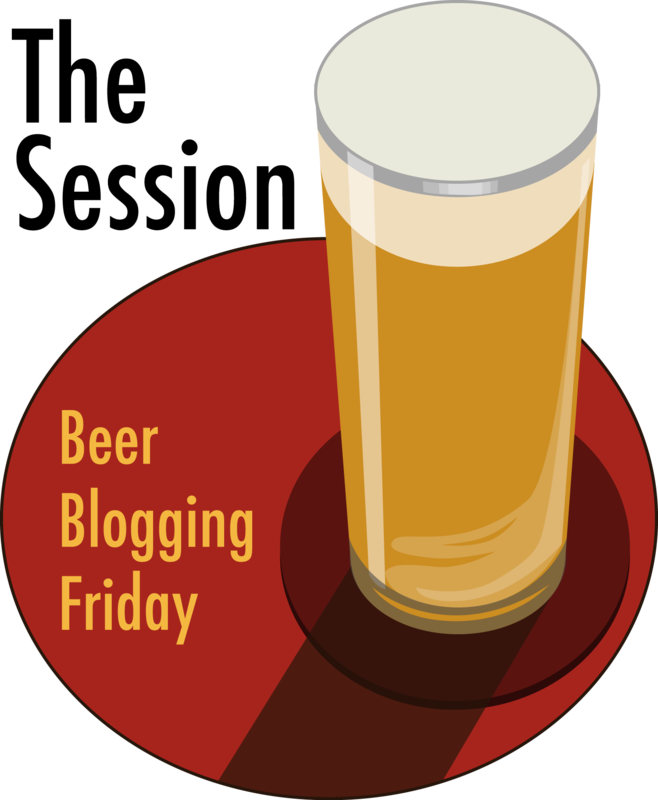 I first met Bill at the brewery doing an article on Pennsylvania breweries for the Celebrator over a decade ago. 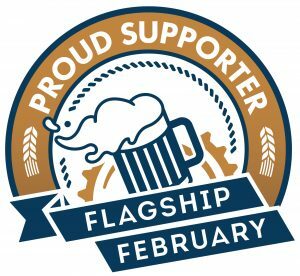 It’s been great seeing his brewery rack up victory after victory as they’ve grown and become one of Pennsylvania’s best, biggest and brightest. Join me in wishing Bill a very happy birthday. 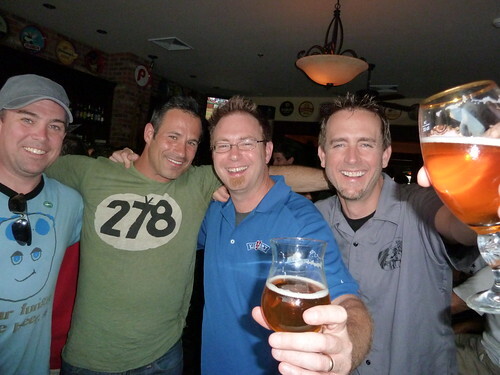 During an event at Philly Beer Week 2009: Kite & Key co-owner Jim Kirk with Sam Calagione, Bill & Greg Koch. 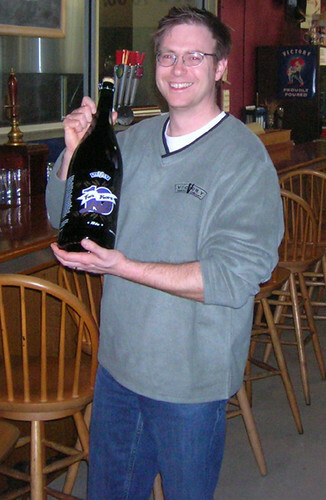 Bill with a big bottle of beer. 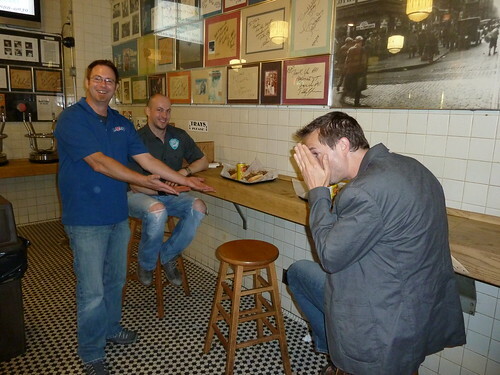 A late night cheesesteak at Jim’s with Bill showcasing our sandwiches while James Watt and Greg Koch look on bemused. 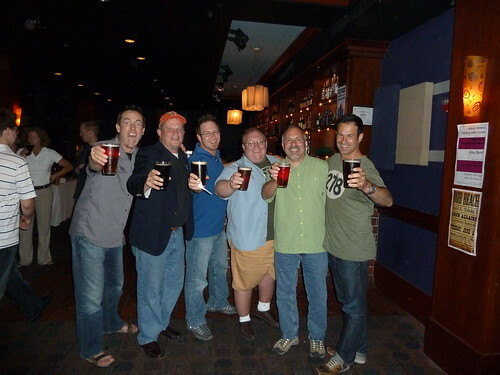 Toasting the Brewer’s Class of ’96: Greg Koch, Mark Edelson, Bill Covaleski, Tom Kehoe, Gene Muller & Sam Calagione. 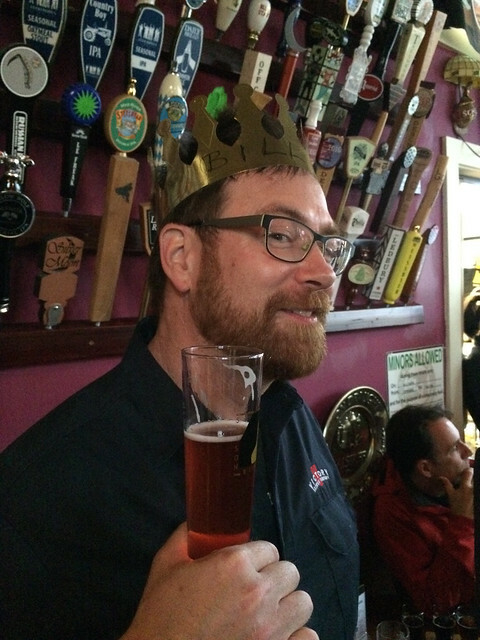 Bill wearing the Belmont Crown at an event at Belmont Station during the Craft Brewers Conference in Portland a few years ago.